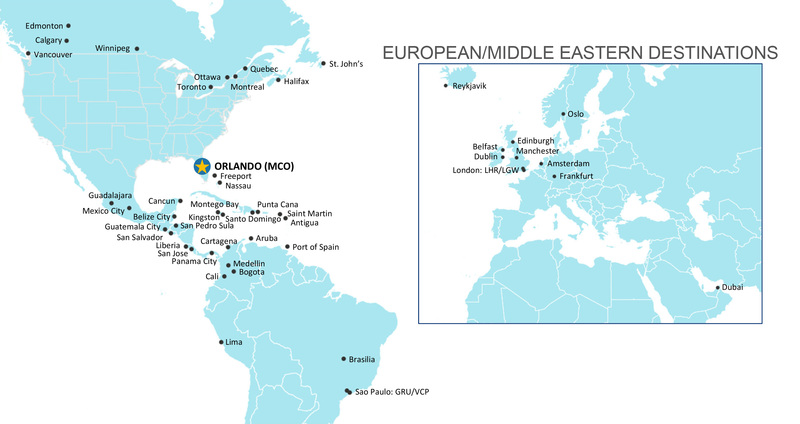 Orlando International’s expanding international route network makes Orlando increasingly accessible from anywhere in the world. Copyright © 2019 Greater Orlando Aviation Authority. All Rights Reserved. When you click on the Pay Now button below, you will leave the website of the Greater Orlando Aviation Authority (the "Authority") and will be redirected to the Online Payment Portal - PayPoint ("PayPoint"), which is operated and maintained by First Data Merchant Services ("First Data"). The Authority has no control over PayPoint and does not assume any responsibility, endorse or guarantee any aspect of your use of PayPoint. We recommend that you review the First Data Online Privacy Statement ("First Data Privacy Statement"), which is contained on the online payment portal, to fully understand First Data's privacy and security practices. Further, we recommend that you review the Authority's Legal Disclaimer/User Agreement ("Authority User Agreement"), to fully understand the Authority's privacy and security practices. By accessing or using PayPoint, you agree with the terms of the Authority User Agreement, with the terms of the First Data Privacy Statement and with any and all other terms provided by the Authority and First Data with respect to your access or use of PayPoint. If you do not agree with the foregoing, do not access or use PayPoint. Please note that the Authority's Finance Department makes every effort to produce and publish the most current and accurate information possible. However, payments received via PayPoint are not processed until the next or following business day and will not be reflected until that time. When you click on the CONTINUE button below you will leave the website of the Greater Orlando Aviation Authority (the "Authority") and will be redirected to Viewpost. The Authority has no control over Viewpost and does not assume any responsibility, endorse or guarantee any aspect of your use of Viewpost.